Every evening this market assembles along Th Sisavangvong from the Royal Palace Museum to Th Kitsarat, closing this section of the street off to motor vehicles. It’s one of Luang Prabang’s biggest tourist lures. Low-lit and quiet, it’s devoid of hard selling and is possibly the most tranquil market in Asia. Tens of dozens of traders sell silk scarves and wall hangings, plus Hmong appliqué blankets, T-shirts, clothing, shoes, paper, silver, bags, ceramics, bamboo lamps and more. Prices are very fair but be aware of 'local' creations sometimes originating from China, Thailand or Vietnam. Located in the old city centre and a favourite with sunset junkies, the abrupt 100m-tall hill of Phu Si is crowned by a 24m gilded stupa called That Chomsi . It can be viewed from a distance all around Luang Prabang, especially when floodlit at night, the structure seems to float in the hazy air. The main highlight of climbing up the small Mount is the series of city views. Beside a flagpole on the same summit there's a small remnant anti-aircraft cannon left from the war years. Ascending Mount Phousy from the north side (329 steps), stop at the decaying Wat Pa Huak, It has a splendid carved wood Buddha riding Airavata, the three-headed elephant from Hindu mythology that featured on Laos' national flag until 1975. The murals inside show historic scenes along the Mekong River, including visits by Chinese diplomats and warriors arriving by river and horse caravans. Three large seated Buddhas and several smaller standing and seated images date from the same time as the murals or possibly earlier. Reaching That Chomsi is also possible from the south and east sides. Two such paths climb through large Wat Siphoutthabat Thippharam to a miniature shrine that protects a Buddha Footprint, not the same size as a normal human! Directly southwest of here a series of new gilded Buddhas are nestled into rocky clefts and niches around Wat Thammothayalan . The monastery is free to visit if you don't climb beyond to That Chomsi. You can take excellent photos of the national museum complex from the steps that descend to Thanon Sisavangvong. Luang Prabang's best-known and most visited monastery is centred on a 1560 sǐm that's considered a classic of local design. It is also known as the Temple of the Golden City. This Buddhist Temple is located on the northern tip of the Peninsula of Luang Prabang where the Mekong and the Nam Khan Rivers merge. It is one of the most important of Lao Monasteries and remains a significant monument to the Spirit of religion, royalty and traditional art. There are over twenty structures on the grounds including a sǐm, shrines, pavilion and residences, in addition to its gardens of various flowers, ornamental shrubs and trees. Set in a spacious, beautifully attended garden on Thanon Sisavangvong, one of Luang Prabang’s main boulevards is where you will find the Royal Palace Museum, which is also known as Haw Kham. This was originally the residence for the King of Lao. Here you will learn more about Lao history and culture. The main building dates from the early 20th Century but many exhibits stretch back several centuries to trace the turbulent past of the Lane Xang kingdom and the colonial era, through to the present day. The museum was designed in the French Beaux-Arts style with elements of traditional Lao culture. The Communists came to power in 1975 and they took over the palace and sent the royal family to re-education camps. The palace was then converted into a museum that was opened to the public in 1995 after careful renovation. There are several other buildings including a Exhibition hall and a chapel (Haw Prabang), and a statue of King Sisavangvong. The Traditional Arts and Ethnology Centre (TAEC) founded in 2006, is more than a museum to visit and a boutique for fine handicrafts. Located in the UNESCO World Heritage town of Luang Prabang it is the only independent resource centre in Laos dedicated to the country’s many and diverse ethnic groups. Today the centre is engaged in a broad range of community activities, reflecting commitment to supporting living ethnic minority communities to preserve and promote their cultural heritage while looking towards the future. The Nam Ou joins the Mekong beneath a dramatic karst formation that, from some distance south, looks like a vast green eagle taking off. Facing it is the village of Ban Pak Ou, where a handful of river-front restaurants gaze out across the Mekong. On the other side (there's no bridge) are two famous caves cut into the limestone cliff. Both are crammed with Buddha images of various styles and sizes. A few steps from the river, the lower 'cave' is actually more of an overhang. A group of Buddha’s pose perfectly as silhouettes against the grand riverine backdrop. To reach the upper cave, follow stairs to the left and climb for five sweaty minutes. This one is 50m-deep behind an old carved-wooden portal. If you didn't bring a torch (flashlight), you can borrow one for a suitable donation from a desk at the front. Appealing as the scene may be, the caves themselves are less of an attraction for many visitors than the Mekong boat trip from Luang Prabang to get here. Be aware that you'll see the exact same stretch of river should you do a Luang Prabang–Pak Beng boat trip. Between January and April, villagers along the Mekong sandbanks en route pan for gold using large wooden platters. Whether by road or by boat, most visitors en route to Pak Ou stop at the 'Lao Lao Village' Ban Xang Hay where the narrow footpath-streets behind the very attractive wat are full of weavers' looms, colourful fabric stalls and a few stills producing the wide range of liquors sold. Adrenalin meets conservation in this eco-friendly adventure in the 106,000 hectares of the Bokeo Nature Reserve wilderness. The Gibbon Experience is essentially a series of navigable 'ziplines' criss-crossing the canopy of some of Laos' most pristine forest, home to tigers, clouded leopards, black bears and the black-crested gibbon. Seven years ago poaching was threatening the extinction of the black-crested gibbon, but thanks to Animo, a conservation-based tour group, the hunters of Bokeo were convinced to become the forest's guardians. As guides they now make more for their families than in their old predatory days. The benchmark for sustainable monkey business, this three-day experience is one of Laos' most unforgettable adventures. Essentially this is an extended chance to play Tarzan; living two nights in soaring tree-houses within thickly forested hills and swinging high across valleys on incredible ziplines, some more than 500m long. It's a heart-stopping, superhero experience. Should it rain, remember you need more time to slow down with your humble brake. The guides are helpful, though make sure you're personally vigilant with the knots in your harness. For those on the classic experience there's a good chance of hearing the gibbons' incredible calls. Actually seeing gibbons is much rarer but some lucky groups do catch a fleeting glimpse. Unless making a pre-dawn trek to tree-house 3, participants on the waterfall trek are far less likely to hear gibbons. More recently a faster two-day express trip has been added to the roster for those with less time to spare in the forest canopy. The days also involve a serious amount of trekking. Bring a pair of hiking boots and long socks to deter the ever-persistent leeches. Accommodation is located in unique thatched tree-houses that are spaced sufficiently far from each other so that each feels entirely alone in the jungle. Often around 40m above the ground and set in natural amphitheaters with spectacular views, most of the tree-houses sleep eight people with bedding laid out beneath large cloth nets, although some tree-houses sleep just two people. Large spiders on the walls and rats rustling in the ceilings will be your companions too, but this is the jungle after all. Well-cooked meals consisting of rice and four accompaniments are zip-lined in from one of three rustic kitchens while coffee, tea, hot chocolate and various additional snacks are available in each tree-house. Keeping anything edible in the provided strong box is essential to avoid the forest rats being attracted. More recently added for sybarites who need a little more comfort, the gibbon spa incorporates the best of the classic with gourmet food, improved lodgings and massages. Welcome to the Land of the Asian Elephant! Stay overnight in your private bamboo bungalow and enjoy the view on the majestic lake surrounded by tropical forest. The Elephant Conservation Centre’s mission is to start a new era for conservation of the Asian elephant within the Lao PDR and to offer a unique experience to visitors wishing to contribute towards the protection of an endangered species. The Centre was launched in 2011. 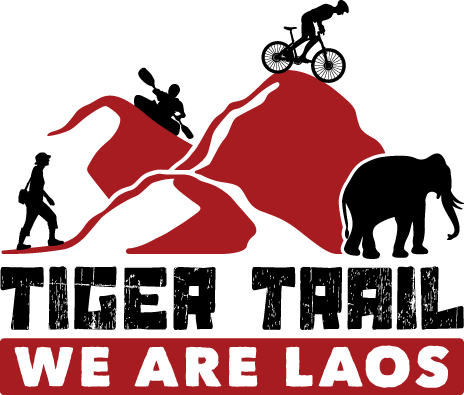 It is managed by a team of elephant specialists that have been working towards the protection of elephants in Laos for over a decade, running welfare, vet care, breeding and mahouts training programs. Around 5km north of Tonpheung, dusty Rte 3 abruptly undergoes an astonishing transformation. Suddenly you're gliding along a two-coloured paved avenue, lined with palm trees and immaculately swept by teams of cleaners. Golden domes and pseudo-classical charioteers rear beside you. This is Laos's' surreal Las Vegas, a casino and entertainment. Here is the famous Golden Triangle, where Thailand and Laos face off, with Myanmar sticking a long nosed sand bank between the two. Boat cruises potter past from the Thai side, while on the Lao bank speedboats await but foreigners can't cross the border without prearranged authorisation. The wide, multi-level cascade pools of this waterfall are a particularly memorable sight from August to November. They dry up almost completely by February and, unlike Tat Kuang Si, there's no single long-drop centrepiece. But several year-round gimmicks keep visitors coming, notably elephant rides and a loop of 14 Zip Lines allowing you to 'fly' around and across the falls. Only two of those lines are more than 100m long so don't imagine a serious competitor to the Gibbon Experience. Just beyond the extensive Talat Market, a tiny lane leads 200m towards the Mekong emerging at the excellent Ock Pop Tok Living Crafts Centre, a beautifully laid-out traditionally styled workshop where weavers, spinners and batik makers produce top-quality fabrics. Free tours of the center start roughly half-hourly and give a superb insight into silk production and dye-making. If you're waiting for a tour, there's plenty of information to peruse, along with a great river-view cafe serving drinks and excellent Lao food. Or try a cup of the surprisingly pleasant worm-poo tea – yes, a unique infusion made from silk-worm droppings. Weaving and dyeing courses are possible here and accommodation is available. Living Rice Farm, situated in an idyllic countryside setting, surrounded by mountains in the middle of ancient rice terraces. Living Rice Farm, a community enterprise grows organic vegetables and rice. They work with and support the local community and help educate children from disadvantaged families. Si Phan Don is where Laos becomes the land of the lotus eaters, an archipelago of islands where the pendulum of time swings more slowly and life is more laid-back – yes, even by Laos standards. The name literally means ‘Four Thousand Islands’, and they are so tranquil that you can imagine them just drifting downriver into Cambodia with barely anyone blinking an eyelid. Many a traveller has washed ashore here, succumbed to its charms and stayed longer than expected. During the rainy season the Mekong around Si Phan Don fills out to a breadth of 14km, the river’s widest reach along its 4350km journey from the Tibetan Plateau to the South China Sea. During the dry months the river recedes and leaves behind hundreds (or thousands if you count every sand bar) of islands and islets. Travellers hone in on three of those islands: Khong, Det and Khon. Don Khong, by far the largest island in Si Phan Don, is sleepiest and sees the fewest tourists. There's much more to do on Don Khon and Don Det, which have become de rigeur stops on the Southeast Asia backpacking circuit. Activities include cycling, swimming, tubing, boat cruises, kayaking, and dolphin spotting, although many travellers forsake these and pass the days getting catatonic in a hammock. The villages of Si Phan Don are often named for their position at the upriver or downriver ends of their respective islands. The upriver end is called hǔa (head); the downriver end is called hǎang (tail). Hence Ban Hua Khong is at the northern end of Don Khong, while Ban Hang Khong is at the southern end. South of Don Khong the Mekong River features a 13km stretch of powerful rapids with several sets of cascades. The largest, and by far the most awesome anywhere along the Mekong, is Khon Phapheng , near the eastern shore of the Mekong not far from Ban Thakho. Khon Phapheng isn’t as beautiful as the towering waterfalls of the Bolaven Plateau or the fairytale pools of Tat Kuang Si near Luang Prabang. But Khon Phapheng is pure, unrestrained aggression as millions of litres of water crash over the rocks and into Cambodia every second. Especially when the Mekong is at full flood this is a spectacular sight, and it’s probably the most visited site in Laos for Thai tourists, who arrive by the busload. Part of the attraction is the spiritual significance they hold for both Lao and Thais, who believe Khon Phapheng acts as a spirit trap in the same way as Tat Somphamit. Wat Phu is a ruined Khmer-HinduTemple complex in Southern Laos. It is located at the base of mount Phu Kao, 6km from the Mekong River in Champasak province. The archaeological site itself is divided into six terraces on three main levels joined by a long, stepped promenade flanked by statues of lions, naga and Champa Trees. There was a temple on this site as early as 5th century but most of the surviving structures date from 11th to 13th Centuries. Spreading across the northeast of Champasak Province into the Southeastern Salavan, Sekong and Attapeu provinces, the fertile Bolaven Plateau - known in Lao as Phu Phieng Bolaven - is famous for its cool climate, dramatic waterfalls, fertile soil and high-grade coffee plantations. The area wasn't farmed intensively until the French started planting coffee, rubber trees and bananas in the early 20th century. Many of the French planters left following independence in the 1950s and the rest followed as US bombardment became unbearable in the late '60s. Controlling the Bolaven Plateau was considered strategically vital to both the Americans and North Vietnamese, as evidenced by the staggering amount of UXO (unexploded ordnance) still lying around. The slow process of clearing UXO continues, but in areas where it has been cleared, both local farmers and larger organisations are busy cultivating coffee. Other local products include fruit, cardamom and rattan. The largest ethnic group on the plateau is the Laven (Bolaven means ‘home of the Laven’). Several other Mon-Khmer ethnic groups, including the Alak, Katu, Tahoy and Suay, also live on the plateau and its escarpment. The Bolaven Plateau can be explored by motorbike on a day trip from Pakse. Svelte and golden Pha That Luang is the most important national monument in Laos; a symbol of Buddhist religion and Lao sovereignty. Legend has it that Ashokan missionaries from India erected a tâht (stupa) here to enclose a piece of Buddha's breastbone as early as the 3rd century BC. A high-walled cloister with tiny windows surrounds the 45m-high stupa. The cloister measures 85m on each side and contains various Buddha images. Pha That Luang is about 4km northeast of the city centre at the end of Th That Luang. Vientiane's Arc de Triumph replica is a slightly incongruous sight, dominating the commercial district around Th Lan Xang. Officially called 'Victory Monument' and commemorating the Lao who died in pre-revolutionary wars, it was built in 1969 with cement donated by the USA intended for the construction of a new airport; hence expats refer to it as 'the vertical runway'. Climb to the summit for panoramic views over Vientiane. The biggest and most easily accessible, Site 1 features 334 jars or jar fragments relatively close-packed on a pair of hilly slopes pocked with bomb craters. The biggest, Hai Jeuam, weighs around 6 tons, stands more than 2.5m high and is said to have been the mythical victory cup of Khun Jeuam. The bare, hilly landscape is appealing, although in one direction the views of Phonsavan airport seem discordant. There is a small cafe, gift shop and toilets near the entrance. Like a rural scene from an Oriental silk painting, Vang Vieng crouches low over the Nam Song with a backdrop of serene cliffs and a tapestry of vivid green paddy fields. Thanks to the iron fist of the Lao government finally making its presence felt in 2012 (when the river rave bars were finally closed down), the increasingly toxic party scene has been banished and the community is recalibrating itself as an outdoor paradise home with some achingly lovely boutique hotels and a raft of adrenalin-inducing and nature-based activities. For the first time in years Western families and a more mature crowd are visiting, stopping to kayak the Nam Song, go caving and climb the karsts. Relief pretty much describes the current feeling of Vang Vieng's inhabitants. It is mixed with a dose of anxiety as to how they are going to fill their empty guesthouses, for at its height 170,000 footfalls swept through the town on a yearly basis. Still, locals are glad that Vang Vieng is now untroubled by thumping music, disrespectful teens and the misconception that anything goes. Spend a few days here – rent a scooter, take a motorcycle tour, go tubing, trekking – and prepare to manually close your jaw as you gape at one of Laos' most stunningly picturesque spots.